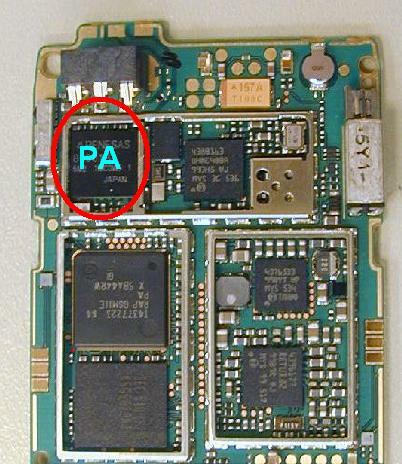 Nokia 6131 no network problem can be caused by several reasons, RF processor and Power Amplifier IC problem. 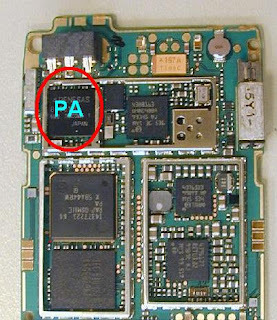 Here, mobile repair guide provide a picture relating to Nokia 6131 no signal or no network problem, the picture show you the location of PA IC. Try to reheat that part if your phone experience no signal problem.